North and South Discuss Olympic Cooperation | U.S. 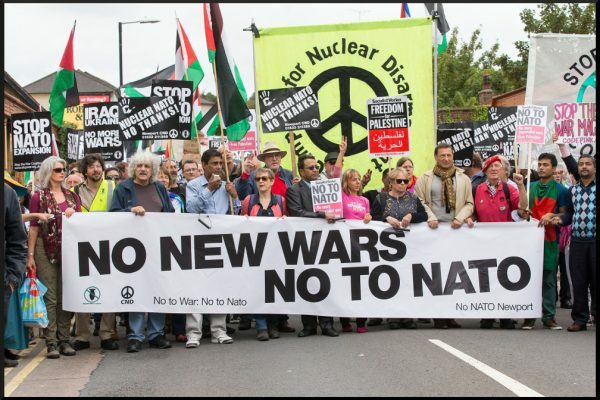 Considers “Limited Strike” on N Korea – Stop the Wars at Home and Abroad! On January 9, high-level officials from North and South Korea met to discuss the North’s participation in the 2018 Winter Olympics in Pyeongchang, South Korea in February. The inter-Korean meeting was held in the village of Panmunjom at the border of the divided Korean Peninsula. On January 1, North Korean leader Kim Jong-un expressed hope for reconciliation with South Korea in his New Year address. The next day, South Korean President Moon Jae-in proposed high-level talks with North Korea ahead of the Olympics. Ri Son-gwon of North Korea and Cho Myong-gyon of South Korea — the lead representatives of their respective states’ reunification committees — led the talks. 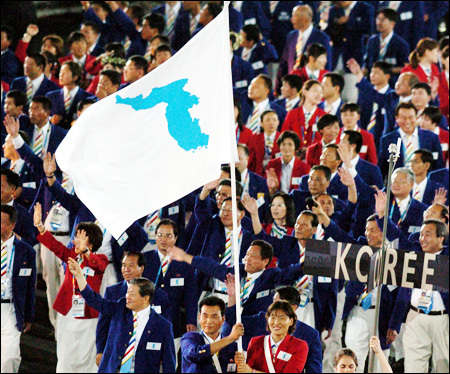 The two sides came to an agreement about North Korea’s delegation to the Pyeongchang Olympics. The delegation will consist of athletes, a cheering squad, artists, a taekwondo demonstration team, reporters, and representatives of North Korea’s National Olympic Committee. South Korea agreed to provide necessary accommodations for the delegation, and North Korea agreed to follow-up meetings with South Korea to work out the details of its delegation’s visit. There were also talks of North and South Koreans marching together during the opening and closing ceremonies of the Olympics. The North and South also agreed to work towards “relieving the military tensions and creating a peaceful environment” and planned to hold high-level military talks in the coming weeks. The two sides are expected to discuss South Korea’s decision to delay its joint military exercises with the United States, as well as North Korea’s moratorium on nuclear testing. South Korea and the U.S. agreed on January 5 to push back the Key Resolve and Foal Eagle joint exercises, which are normally held in March and April every year. Lastly, the North and South committed to resolve any conflict or issue on the Korean peninsula through dialogue and negotiation. They agreed to use the communication channel reopened in Panmunjom last week to discuss the time and location of the next high-level meeting. Officials from the North and South also acknowledged the importance of creating opportunities for divided families to reconnect. Although they discussed this issue at length, the two sides did not come up with concrete measures at this week’s meeting. How sustainable the progress made at this week’s high-level talks will be beyond the Olympics remains a question. Even as he expressed interest in meeting directly with Kim Jong-un, South Korean President Moon Jae-in attributed the success of the January 9 bilateral meeting to Trump’s strategy of “maximum pressure.” He also continued to threaten sanctions against North Korea should it test more nuclear weapons or ballistic missiles. Meanwhile, President Trump’s cabinet is divided on how to resolve the Korea crisis — with National Security Advisor H.R. McMaster urging the president consider limited strikes on facilities linked to North Korea’s nuclear program, while State Secretary Rex Tillerson recommends more peaceful measures.